This service is run by our experienced Audiologists and is aimed at Patients over the age of 17 years with suspected hearing loss (see below for exclusions). Patients between the ages of 5 and 17 years with suspected hearing loss can be referred via the Paediatric ENT Clinic at Bramhope Medical Centre. The aim here is a ‘one-stop shop’ NHS hearing aid service. 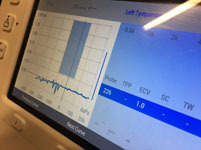 Where hearing aids are deemed appropriate, the vast majority of patients will go home with their new hearing aids at their first appointment after fitting and calibrating. There is a telephone follow-up at 6 weeks, sooner if needed. Each Patient will then have a 3 year follow-up and service package covering consumables (batteries etc.) provided out of our Bramhope Surgery. Hearing Loss Service for patients over the age of 17 with suspected hearing loss. NB Children under the age of 17 can be referred via the Paediatric Ear, Nose & Throat Clinic at Bramhope Medical Centre or Audiology Service at Bramhope. Fitting of hearing aids, if required. History of discharge other than wax from either ear within the last 90 days. Sudden loss or sudden deterioration of hearing (i.e. <1 week, attend A&E or Urgent Care ENT Clinic). 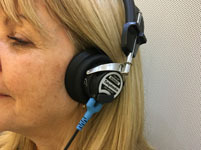 Normal peripheral hearing but with abnormal difficulty hearing in noisy backgrounds (possibly also problems with sound localization or difficulty following complex auditory directions). Unilateral or asymmetrical, or pulsatile or distressing tinnitus lasting more than 5 minutes at a time. Troublesome tinnitus which may lead to sleep disturbance or be associated with symptoms of anxiety or depression.